Eddie Tapp is an award-winning photographer as well as a lecturer, consultant and author on digital imaging issues. Tapp's lecture tours include instruction on the proper display of photographs, including control of digital color and tone. After finding that the projector he used for his lectures lacked sufficient color control, Tapp switched to the REALiS SX6 Multimedia Projector from Canon U.S.A., Inc. to increase the resolution, brightness and color accuracy of the images so crucial to his lessons. "Students need to control digital color and tone in their work," Tapp explained. "Usually, during the part of the lecture where I discussed this topic I had to apologize because my projector couldn't display what I was talking about. In times like that, I had to turn my laptop around to show them the actual color to which I was referring. The Canon REALiS SX6 now gives me the ability to not have to apologize to my audience, and it is fantastic." Accurate color reproduction is extremely important in the photographic world, which is why it is embracing the sophisticated color management features of the REALiS SX6 Multimedia Projector. Drawing from technology originally developed for Canon's acclaimed line of digital cameras and printers, the REALiS SX6 Multimedia Projector features proprietary color filters that alter the projector's color space, which is the range of colors that it can display. •	Adobe RGB Color Mode widens the color gamut to better match the Adobe RGB color space that's ideal for professional photographers, graphic design studios, and printers needing to display images with accurate, uniform color. The REALiS SX6 Multimedia Projector provides the widest range of Adobe RGB color space found in any projector. •	sRGB Mode is optimized for sRGB images, a color space employed by many digital cameras. •	Standard Mode creates colors closely resembling the original image being projected, but with an emphasis on white areas. •	Presentation Mode maximizes brightness and makes it easier for audiences to see presentations even in brightly lit rooms. The REALiS SX6 Multimedia Projector Image Mode known as Movie & Photo is designed for the display of video and digital camera images, clearly defining gradations and improving color reproduction. Users can customize these settings by adjusting seven different picture aspects including brightness, contrast, sharpness and gamma, further expanding the projector's wide array of color-display options. Extensive control of the Canon REALiS SX6 Multimedia Projector's color palette is accomplished using an on-screen Graphical User Interface. This easy-to-use feature includes Memory/Vivid Color Correction for adjustment of each of the primary colors (red, green, blue) and secondary colors (cyan, magenta, yellow). In addition, the REALiS SX6 Multimedia Projector's Six-Axis (RGB/CMY) Color Adjustment enables users to fine-tune the hue and saturation of each of the primary and secondary colors. "Whenever I need to get to a menu to change something, the REALiS SX6 makes it easy to use and easy to understand," Tapp remarked. In addition to accurate color control, Canon's proprietary AISYS (Aspectual Illumination System) optical system maximizes the next-generation LCOS (Liquid Crystal on Silicon) display technology employed by the REALiS SX6 Multimedia Projector to produce lattice-free, rich-color pictures at SXGA+ (1400 x 1050) resolution and 3500 ANSI Lumens of brightness. Canon's AISYS-enhanced LCOS achieves crisp, color-rich, intricately detailed motion or still images by efficiently utilizing and equalizing light from the projector lamp. The REALiS SX6 Multimedia Projector includes a wide variety of digital and analog video and computer display input interfaces. Having multiple inputs was especially important to Tapp, whose lectures include images from multiple computers as well as his Canon EOS-1D Mark III digital camera. "I like being able to switch over from one computer to another, or from the computer to the camera," said Tapp. "With the REALiS SX6 I can connect the camera as I'm shooting, which allows the audience to see the images and settings as they appear on the camera." Tapp's professional photography work has taken him all over the world. He is also a member of Canon U.S.A., Inc.'s Explorers of Light program, a broad-ranging initiative for photographic education and inspiration comprised of 78 of the most influential photographers in the world. The Explorers share their art and technical expertise with audiences in a variety of personal appearances, seminars and gallery showings throughout the United States. It was this relationship that initially brought the Canon REALiS SX6 Multimedia Projector to Tapp's attention. "The clarity and quality of the image is sharp," he recalled. "It has beautiful color; it is an absolutely magnificent piece of equipment." 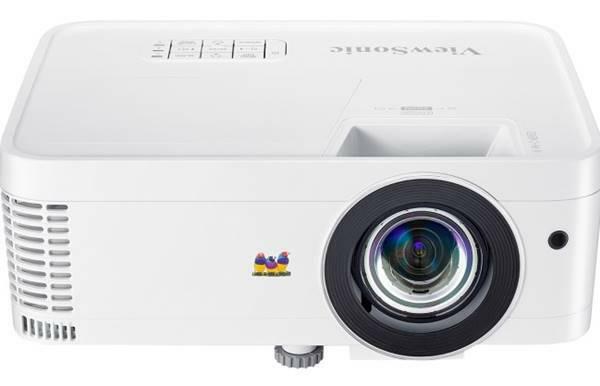 Another reason for the high-quality images projected by the REALiS SX6 Multimedia Projector is the optical excellence of its Genuine Canon 1.7x Ultra-Wide Powered Zoom Lens. Featuring the widest zoom range of any of Canon's projector lenses, the REALiS SX6 Multimedia Projector's 1.7x Ultra-Wide Powered Zoom provides a diagonal screen size range of from 40 inches (at a very short projection distance of 3.9 feet) to 300 inches. Even at a distance of 9.8 feet, the REALiS SX6 Multimedia Projector can project at a screen size of 100 inches. Whether on a camera or a projector, Genuine Canon Optics provided Tapp with the crucial ability to accurately convey his artistic achievements and knowledge to the public. The REALiS SX6 Multimedia Projector is vital to Tapp's lectures, enabling him to demonstrate techniques for controlling digital color and tone that would otherwise be difficult to communicate. "The REALiS SX6 has been as indispensable as my right arm in my lectures," Tapp declared. "It's so reliable, the control of the color is great, and it gives me the ability to instruct with confidence." Canon U.S.A., Inc. delivers consumer, business-to-business, and industrial imaging solutions. The Company is listed as one of Fortune's Most Admired Companies in America and is on the 2006 BusinessWeek list of "Top 100 Brands." Its parent company, Canon Inc. (NYSE:CAJ), is a top patent holder of technology, ranking third overall in the U.S. in 2006†, with global revenues of $34.9 billion. To keep apprised of the latest news from Canon U.S.A., sign up for the Company's RSS news feed by visiting www.usa.canon.com/pressroom.